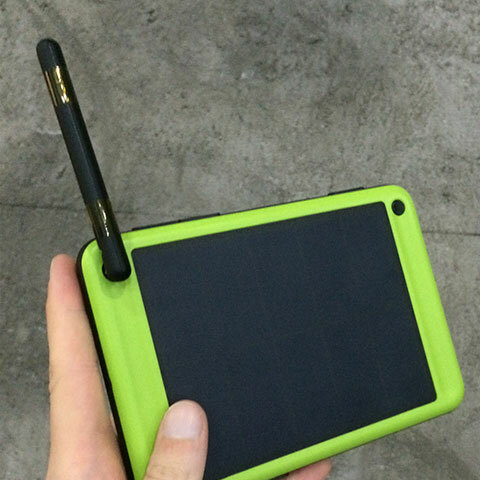 The Earl back country tablet continues to hold its own as one of the most delayed gadgets of 2013 and 2014. This tablet was originally scheduled to be released by the end of last summer, but the latest update from its developers have revealed that it is still under development and has yet to get its wireless certifications or enter mass production. Following our last post, our hardware team informed us that Earl’s shell had a 40% chance to survive a substantial drop and remain sealed against outside elements. This latest delay will likely push the delivery date back until next year, if not later. The Earl was designed to be a drop, impact, water, and dust resistant Android tablet based around a 6" E-ink screen. These stringent requirements have led to several major redesigns since the Earl was first announced in May 2013, each of which has pushed back the Earl's release date by several months. The Earl has both gained and lost components with each design iteration. The original concept included a kickstand with integrated solar panel, but that was dropped late last year in order to simplify the design and make it more rugged. And the Earl also gained an adjustable antenna to better support the multiple types of connectivity (AM/FM/SW/LW, UHF, VHF, and two way). According to the specs, the Earl runs Android 4.4 KitKat on a dual-core 1GHz Freescale CPU with 1GB RAM, 16GB internal storage, Wifi, Bluetooth, NFC, GPS, and multiple sensors. It is going to use a 6" Mobius E-ink screen with a glove friendly touchscreen. It was originally funded as part of a crowd-funding campaign in May 2013. Early supporters bought their place in line for $249, but after the campaign closed the price was bumped to $299. If you feel like gambling, the Earl is still listed for pre-order for $299. I've never been so inclined. When the Earl was first announced I was short of funds, and then after it met its first roadblock I counted myself lucky to have avoided investing in a project which I didn't think would succeed. And I'm still not convinced that the Earl will ship, but even if it foes I have lost interest. 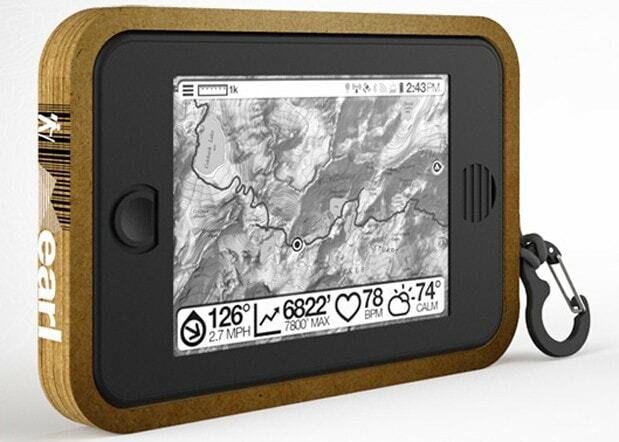 My main interest in the Earl was less its ruggedness and outdoorsy-ness than the fact it ran Android on E-ink. When the Earl was announced in May 2013, there weren't any good options for Android on E-ink. Your only real options were some ereaders like the Nook Touch and the Sony Reader PRS-T2 which could be hacked to bypass the original software limitations. Now there are several options for Android ereaders, including the Onyx T68 Lynx, Icarus Illumina, and the Boyue T62. They're not nearly up to the abilities of the Earl, but on the plus side they are readily available - and the Earl is not. Has any crowd-funded hardware ever shipped on time? It’s not at all unusual for someone else to put out a workable product before the original version ships. There’s a big difference between not shipping on time and what we’re seeing with the Earl. Projects can be delayed, but the Earl is being made by people who (I think) don’t know what they’re doing. As for other projects, I expect the InkCase Plus to ship on time. But then again that product is from an established consumer electronics firm and they know what they’re doing. So at this moment they are already a little bit behind. At least one month. Up until recently they were not even communicating what is going on. The Inkcase Plus was scheduled to ship in October 2014. I just got an email asking for my phone number so they could ship, so i would say this project (at worst) is days behind schedule. It is November the 1st. Did they ship your InkCase Plus? I DO strongly believe they will ship soon, and I am looking forward to your review. I might even purchase my first ever smartphone in order to be able to use the InkCase. That depends on what I learn from your review. I am already looking at smartphone models I can get [cheaply] with my contract (that is paid by my employer). We were just discussing that Inkcase Plus is the only gadget kickstarter that isn’t late ;-). On Monday I got an email which asked for my phone number so they could ship it. I don’t have it yet. I’m still waiting for my Earl.